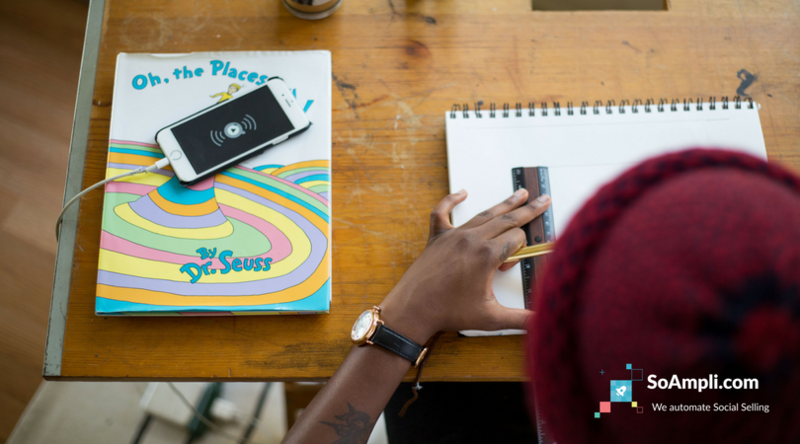 At SoAmpli, we want to give salespeople the best content ideas that will convert their social selling efforts into leads. This is why, since launching our social selling platform, we have nurtured a healthy obsession for data. Recently, we decided to look at the numbers and ask them what insights they could show us. With more than 60k active salespeople on our platform and 7 million social posts (and counting!) being shared through it, we were able to gain some interesting insights. In previous posts, we unveiled the results of our research into the best types of content for sales teams to share on social media and the channels where they are sharing the most. 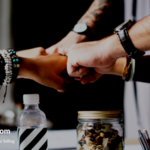 Now, we are going to look at the ideal post length and the most popular content formats for social selling, based on the posts that received the most shares on our clients’ platforms. What is the ideal length of a post for social selling? 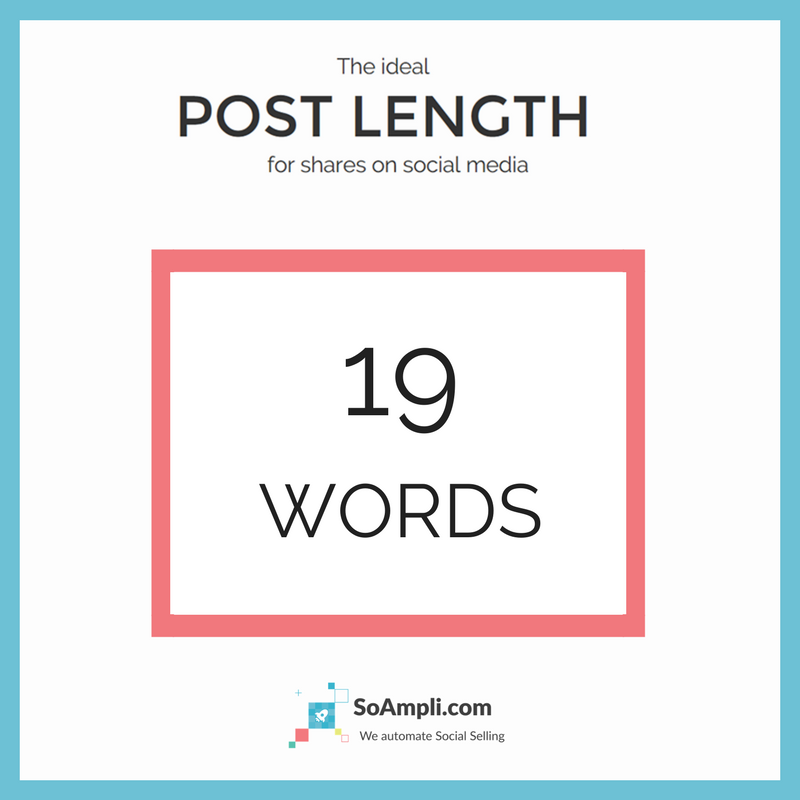 19 words is the average length of all top shared posts on our clients’ SoAmpli platforms. This relatively low number depends mainly on the fact that as many as 85% of top shared posts are optimised for Twitter. A couple of interesting additional facts: of all the SoAmpli posts we analysed, the longest one was 96 words, and the shortest one was a mere 6 words. Interestingly, they both received 15 shares from colleagues on their respective platforms. 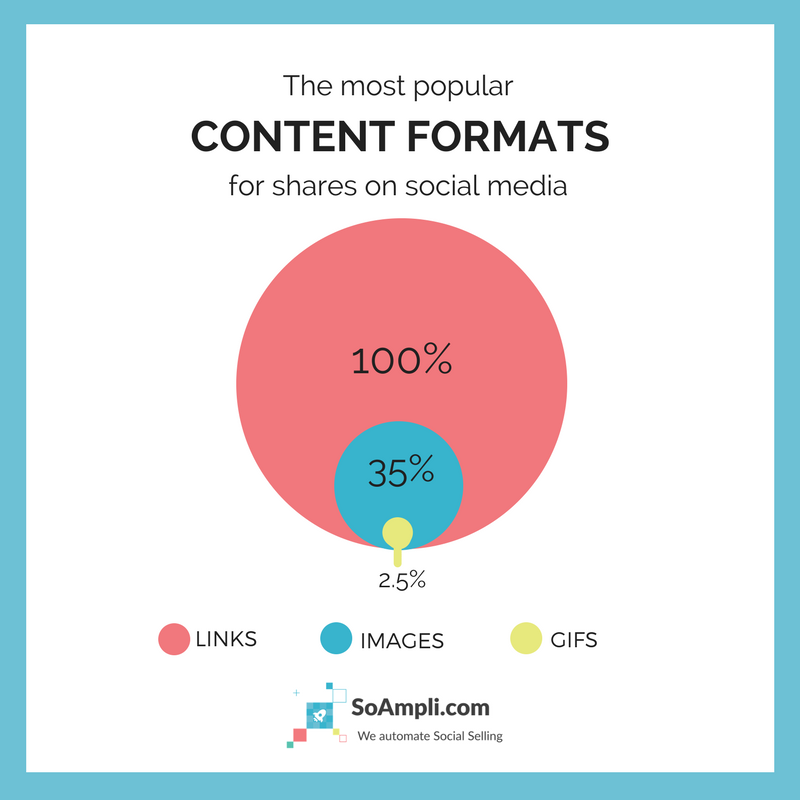 Which format contents salespeople tend to share the most often on social media? Our customers frequently accompany their posts with an attachment. This can be anything, from a simple link, to a link to a video, image or GIF. In our analysis of all content formats our users shared on social media, we found that the most popular one was by far links. 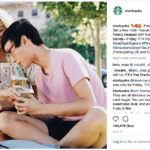 In fact, 100% of the top shared posts contained a link that brought traffic to the company’s website, blog or other curated article from a non-branded source. More than a third of the posts that contained a link also had an image attached to it. We always recommend our customers to use images so as much as they can, as it is proven that the posts that get most hits have a visual element in them. Finally, only 2.5% of posts shared included a GIF. This is clearly a missed opportunity to be different and engage with the audience in a crowded social space. If you’re not doing so, start bringing GIFs into your social posts to stand out. Want to know more about what our analysis of 7M+ social selling posts revealed? Download our complete white paper.